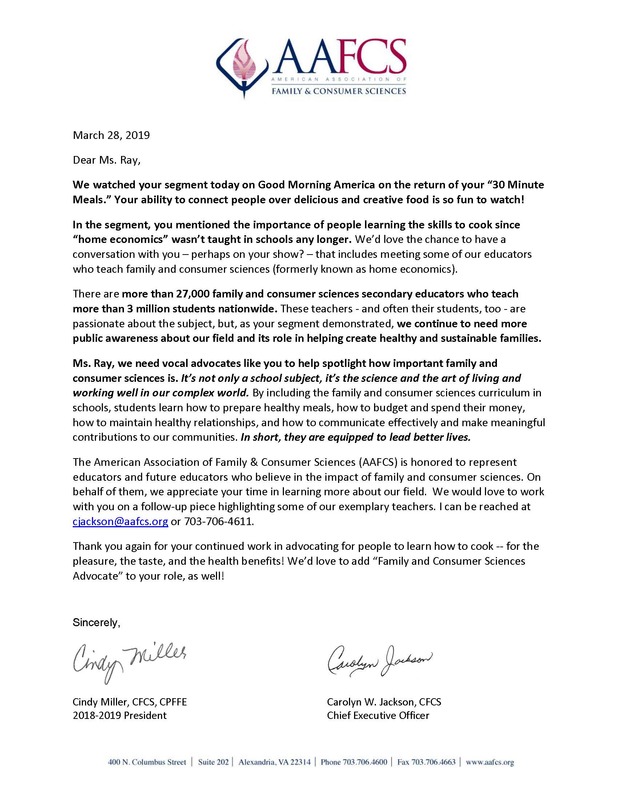 On Thursday, March 28th, 2019, AAFCS learned that Rachael Ray had commented on a Good Morning America segment that home economics wasn't taught in schools any longer. We immediately responded via Twitter and Facebook, and followed up with the letter linked here (image below) to the producers at the Rachael Ray Show. We look forward to continuing the conversation with Ms. Ray!